The Children and Families Bill and SEN reforms: what will they mean for you and your child? Brian Lamb O.B.E. 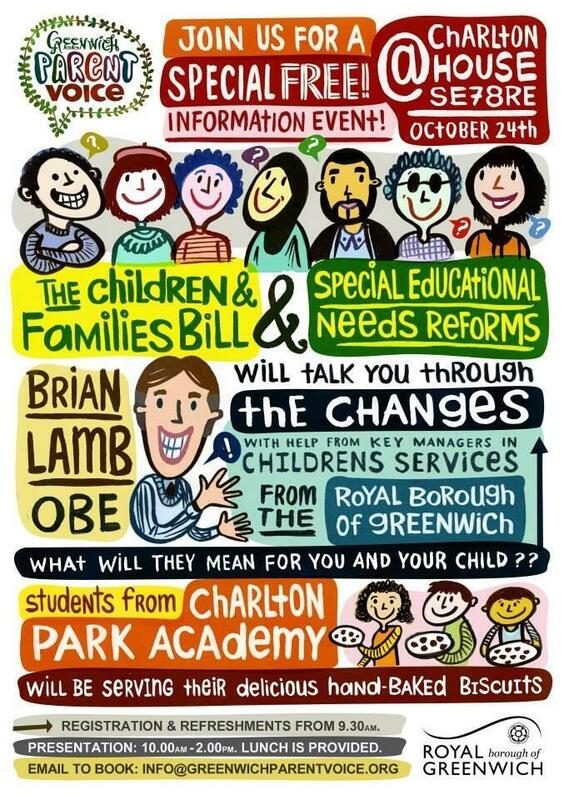 and Greenwich Parent Voice present a free information event about the big changes coming in the Children and Families Bill, due to become law in September 2014. They will be helped by managers from Children’s Services in the Royal Borough of Greenwich. Brian is an expert in SEN policy and will be talking in depth about the impact the reforms will have on every family with a child with special needs or disability. He will cut through the complexity and leave parents with a clear idea of what it all means and how to take advantage of the changes. There will be plenty of time for discussion and questions from the audience.